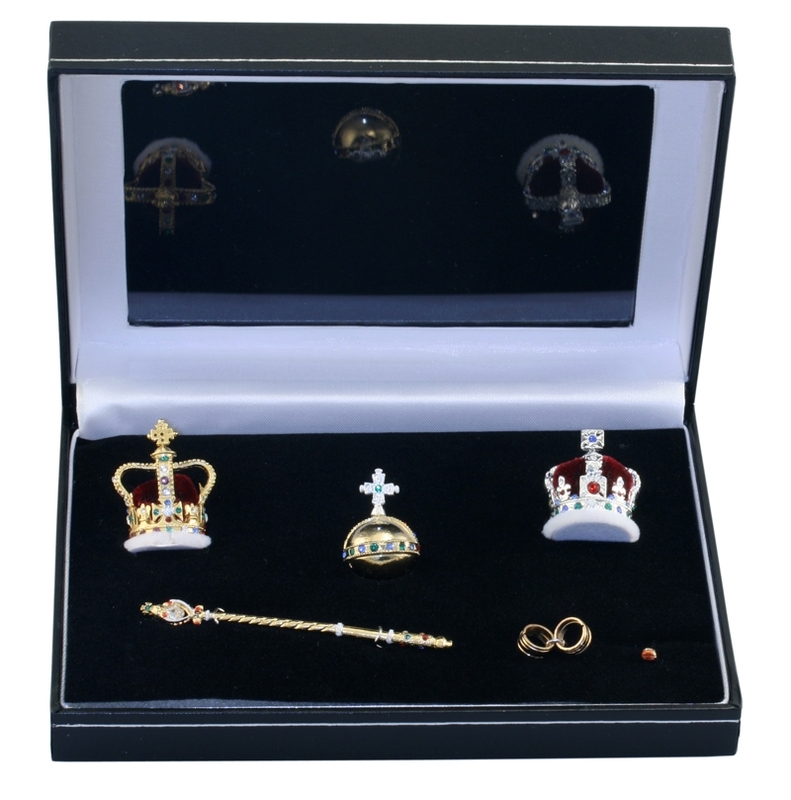 This Collectors set of miniature Crowns and Regalia is hand cast in the UK by craftsmen of Crowns&Regalia, gold or silver toned and set with Swarovski Elements. 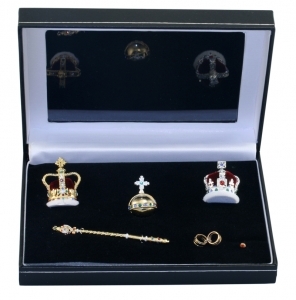 It contains seven of the main pieces used in the Coronation of a British Monarch; The St. Edward's Crown, The Imperial State Crown, The Sovereign's Sceptre with the Cross, The Sovereign's Orb, The Commonwealth Bracelets and The Coronation Ring. This set of jewellery is inspired by a parure of jewels consisting of a diadem, a necklace, a pair of earrings and two small and one large brooch, all set with Ceylon sapphires.